Not only does a clean roof improve your home’s curb appeal, but it can also help keep your property safe. Keeping your roof clean helps each of its components function better, which is crucial if you want your home protected from the elements more efficiently. No good roof cleaning how-to is complete without a reminder to pay attention to your gutters. Gutters and downspouts are a crucial part of your roofing system. They are key to preventing moisture retention on any part of your roof. Moisture buildup on your roof, when left unchecked, may eventually cause damage throughout the rest of your home too. 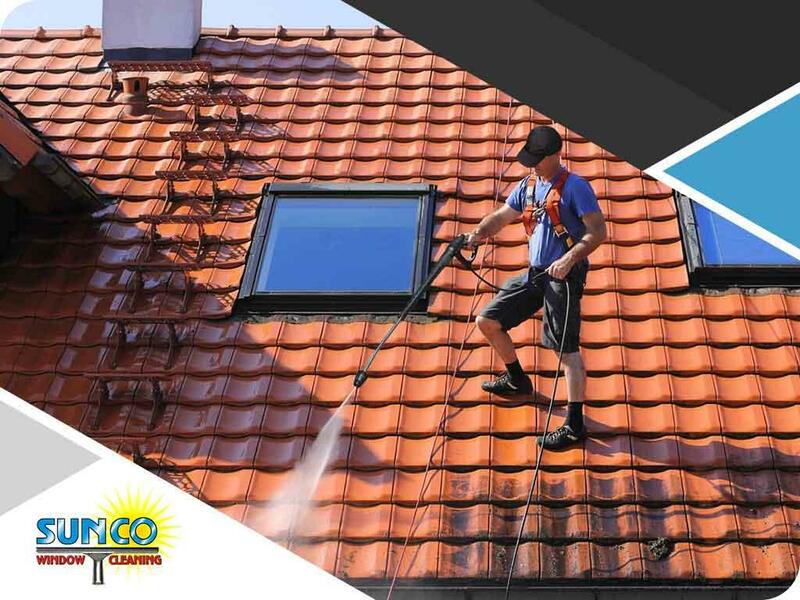 At Sunco Window Cleaning, we recommend power washing as a way to properly clean your gutters of dirt and debris to ensure that your roof is properly drained at all times. One of the advantages of hiring proven experts in keeping roofs clean is benefiting from their advice on when and how often you’ll need to pay attention to your roof. Keep a regular inspection schedule with your chosen provider to help you catch possible issues early. Note, however, that in cases of severe weather occurring where you live, you need to prioritize having your roof professionally cleaned. Our Sunco Window Cleaning team specializes in providing professional roof and window cleaning services. Reach out to us if you want to ensure a well-maintained, longer-lasting roof for your home. Our numbers are (253) 242-7350 and (253) 257-1969. We provide free quotes for homeowners located in Milton, WA.